With Singapore boasting such a rich multi-cultural and multi-ethnic environment, we've put together a great list to showcase the fabulous attires you ladies can wear to celebrate National Day in style. There is so much to be excited for with August 9th approaching. We're all looking forward to the usual displays of fireworks and grand parades to celebrate Singapore's birthday. You's be hard pressed to find anyone not donning the country's national colours or at least waving Singapore's flag proudly in the crowd. But other than donning the usual red and white, what else can Singaporeans wear to showcase national pride? The cheongsam (or qipao) is one of those attires that puts you directly in a spotlight. It's eye-catching, classy and oh, what's not to love. Chinese New year would definitely be an event to catch ladies out an about in this traditional dress. But it should be by no means restricted to one type of festivity! Usually tailored to fit, the cheongsam has a figure-hugging cut. The dress is traditionally made of silk and cotton material and sports a high buttoned up collar. Whether wearing it to a cocktail party or National Day parade, you'll be sure to turn some heads! Take a stroll through Chinatown and it's many street boutiques. For mid-range type cheongsams, you can check out Yue Hwa Department store. On the more unique end, we love Ong Shanmugam's work. Her collection features jaw draw-dropping cheongsams designs that take inspiration from cultural diversity. Every year during the Hari Raya festivity, most of us will stop to gawk at dozens of women swooshing about in traditional Malay wear. We think it too wonderful to keep in the closet till the next festivities so ladies, grab a baju kurung and flaunt it this August 9th. Boasting pure simplicity, you'll find it quite hard to fault this traditional Malay outfit. Not to mention it is pretty comfy. Depending on the style you choose, you can find baju kurungs to be long and flowy or shaped to fit. Materials usually range from cotton to silk to brocade types. Elevate this outfit further with any number of stylish accessories and you'll be good to slay. You can't go wrong shopping boutiques in Singapore's Tanjong Katong complex or in the Arab district. The Peranakan traditional outfit is as colourful as it's history. Peranakan culture fusions Malay and Chinese richness. The result is nothing short of stunning. The kebaya style is deeply distinctive and versatile. Combining a batik style woven skirt and embroidered mid sleeve shirt, it is also an outfit commonly found in Malaysia and parts of Indonesia. Not to mention on all Singapore Airlines flight hostesses. Wear this and you might raise a few eyebrows on National Day and likely a few thumbs-up from the Peranakan community! You go girl. Take a nice stroll through Chinatown and Little India. You won't be disappointed with options. For online alternatives, browse through Little Nonya Batik and pray you don't overdo the shopping! Yes, elegance can be worn. The salwar kameez is representative of Punjabi traditional wear. Sometimes called the Punjabi suit, you'll be spoilt for choice in terms of design, colours, cuts and shapes. Generally a three-piece outfit, it combines a shawl, blouse and trousers to form a powerful statement. If you like to feel comfortable and have no qualms about attracting attention at the same time, please, give the salwar kameez a go. You really can't go wrong with it. Run to Tekka Market(upper floors) and Little India and just lose yourself to the sea of choices there. Or you can shop your heart's worth at Jinders Fashion. Go big or go home, for Singapore's National Day why not? The Indian saree has always been a show stopper, there's no denying it. We only wished we saw more women donning such a gorgeous outfit on the streets. It's true the saree has often had an intimidating reputation of being complex to wear. But fear not, modern day design has made wearing this traditional outfit a breeze with zip ups and made to measure pieces. Little India will be your saree shopping haven. Also, take a tour around Selegie Road for great options. 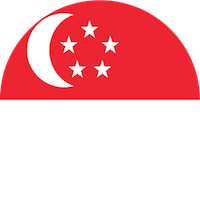 Singapore has always been unique, in the sense of how the nation proudly boasts of a culturally diverse society. It is indeed something worth celebrating together with fireworks, cheers and grand performances. This year, we say nothing against adding a little more oomph to the festive mood. So Ladies on August 9th, let us glam up and pay homage to Singapore's wonderful diversity!